Do not reuse the brake caliper bracket bolts. Remove and discard the brake caliper bracket bolts (1). Remove the brake caliper and bracket as an assembly and support with heavy mechanics wire or equivalent. 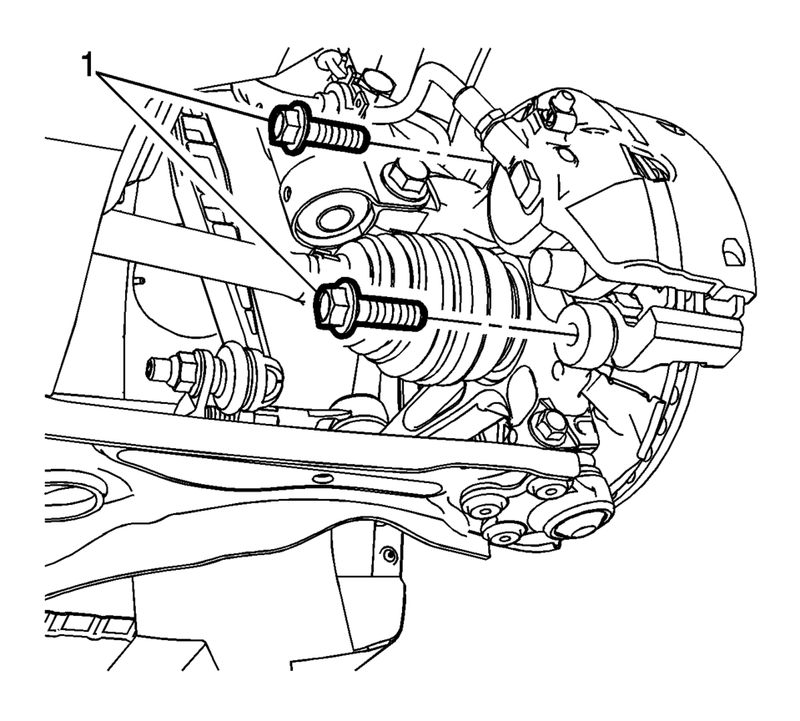 Remove the brake rotor bolt (1). 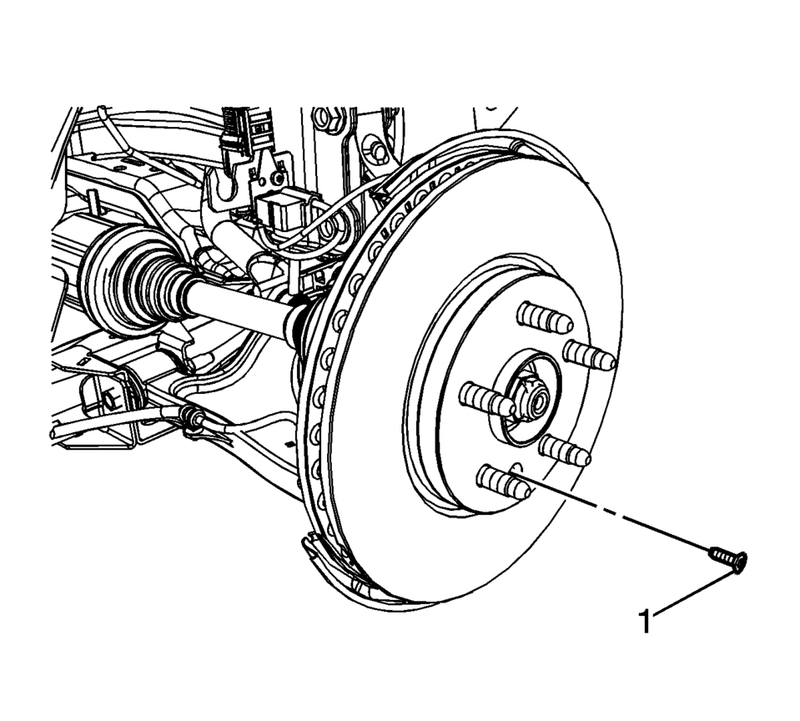 Remove the brake rotor (1). 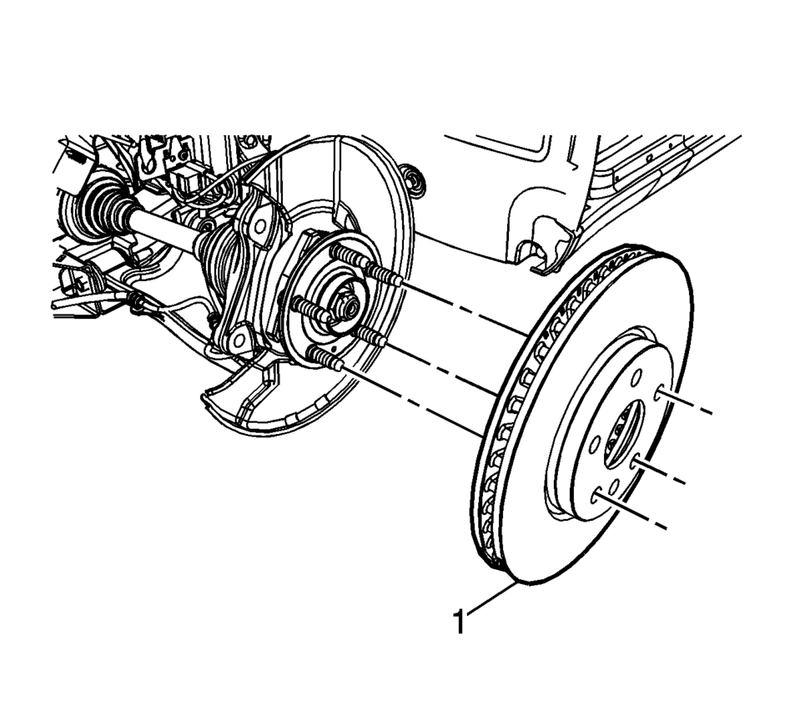 If installing a new brake rotor, clean the friction surfaces of the brake rotor with denatured alcohol or equivalent. Using the CH-42450-A Wheel Hub Resurfacing Kit , thoroughly clean any rust or corrosion from the mating surface of the hub/axle flange. Using the CH-41013 Rotor Resurfacing Kit , thoroughly clean any rust or corrosion from the mating surface of the rotor to the hub/axle flange. Install the brake rotor (1). Position the brake caliper and bracket assembly over the brake rotor and to the steering knuckle.